A Spanish excerpt of this article was published by El Periódico on March 24, 2018. An abstract menagerie of once peculiar lifeforms, seemingly surrealistic in nature, unfolds on the walls of New York University’s Grey Art Gallery. Graceful anemones, entangled in seaweed, sway on the seafloor in one of the drawings. In another, meandering spiders entwine with the fractal branches of fairy-tale trees. The Beautiful Brain exhibit–developed by the Frederick R. Weisman Art Museum, University of Minnesota, along with the Cajal Institute in Madrid, Spain—showcases about 80 of the neuroanatomical drawings that Cajal created between 1890 and 1934, out of the more than 2,900 that he produced during his 5-decade career. The drawings are not exact reproductions of the view under the microscope. Indeed, Cajal very rarely used the device known as a camera lucida, which projects microscope images onto paper for tracing. 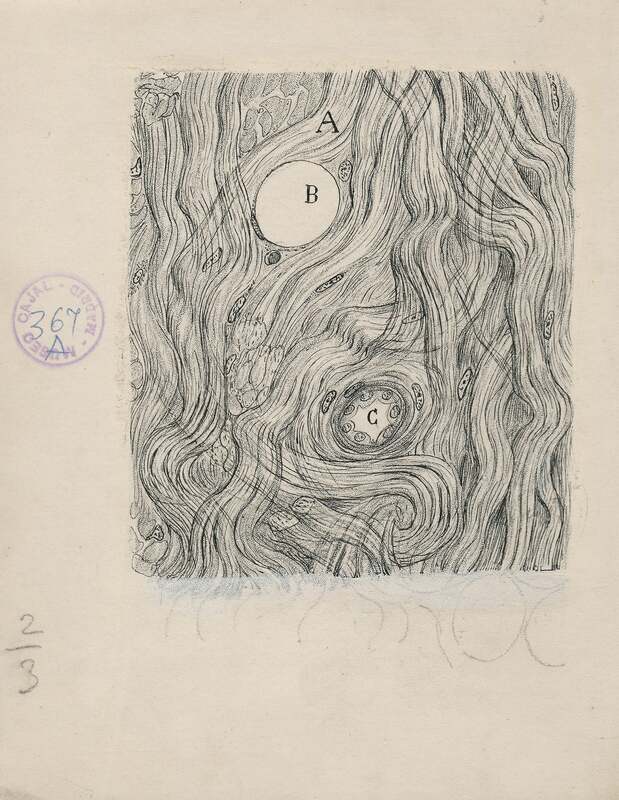 Instead, he drew freehand, and often combined in a single drawing his observations from multiple viewings of different brain sections, formulating de facto hypotheses about brain connectivity through his sketches. 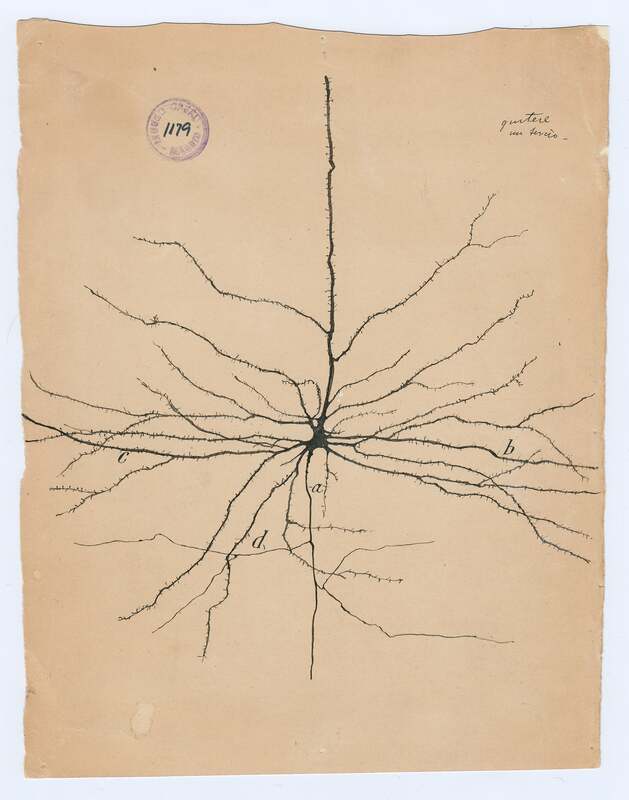 The unifying principle of Cajal’s work would become known as the “neuron doctrine,” the overarching notion that the brain is not a seamless web of wiring, but it is instead composed of distinct and anatomically separate processing units, or neurons. The idea was controversial at the time: Golgi, inventor of the silver staining technique that Cajal used in much of his work, dedicated a significant portion of his Nobel Prize speech to argue against the neuron theory. 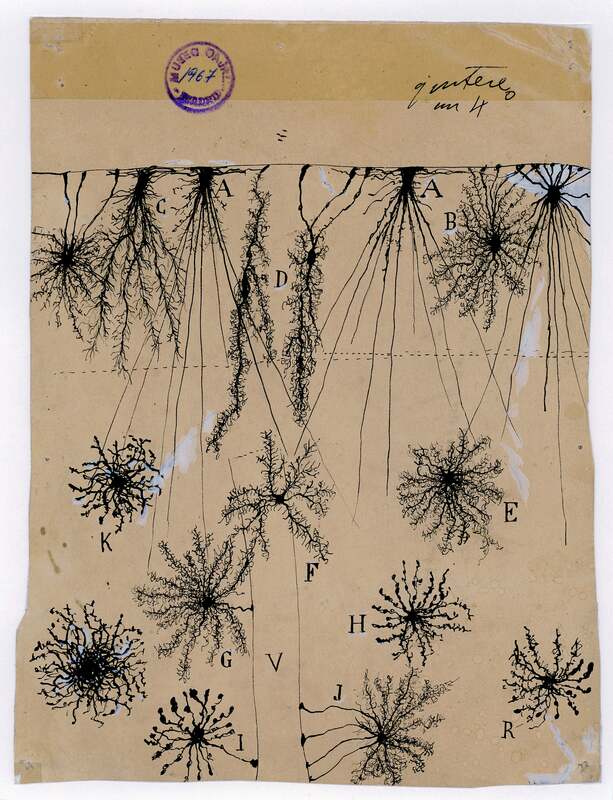 In the end, Cajal’s neuron doctrine became a main foundation of contemporary neuroscience. It was only to comply with his father’s wishes that Cajal turned his back on art to enroll in medical school in the city of Zaragoza, not far from in birthplace in northeastern Spain, Petilla de Aragón. 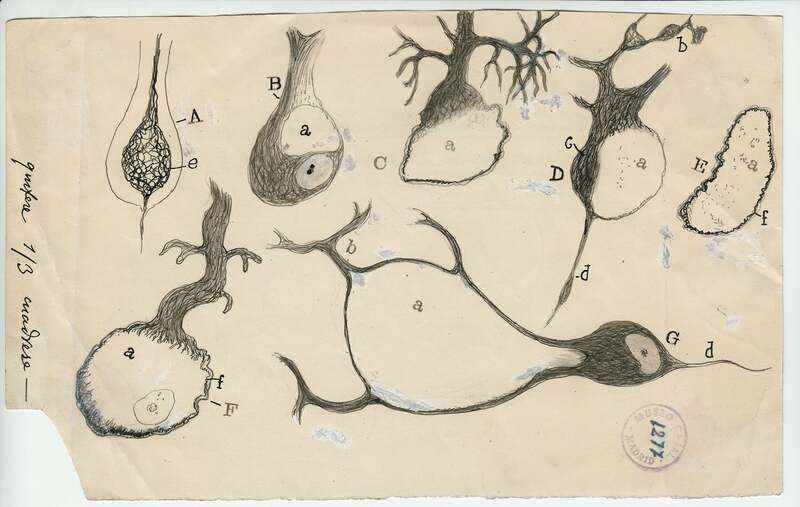 After his graduation, Cajal became fascinated by histology, the study of tissues. This interest allowed him to apply his early artistic training—and perhaps most importantly, his artistic eye—to brain research. 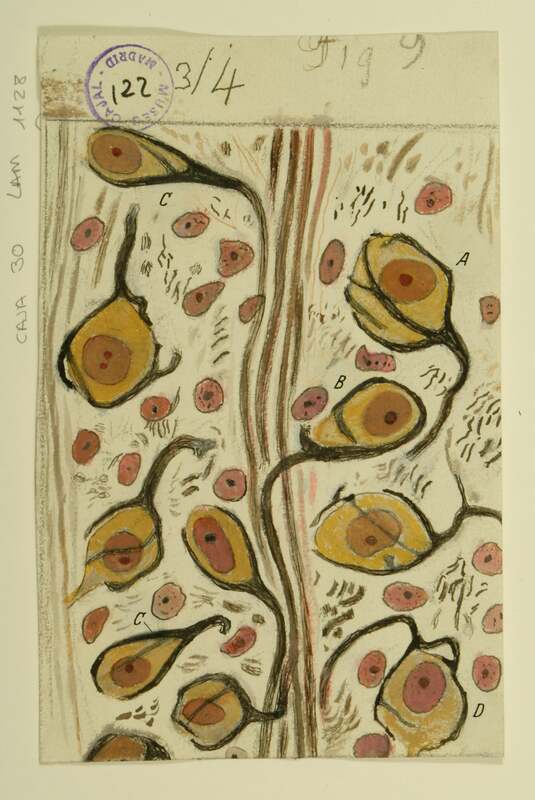 Where Golgi only saw an impenetrable jungle of interlinked vines and branches, Cajal was able to parse each alder, aspen and poplar. The complexity of the forest did not blind him to the individual trees. 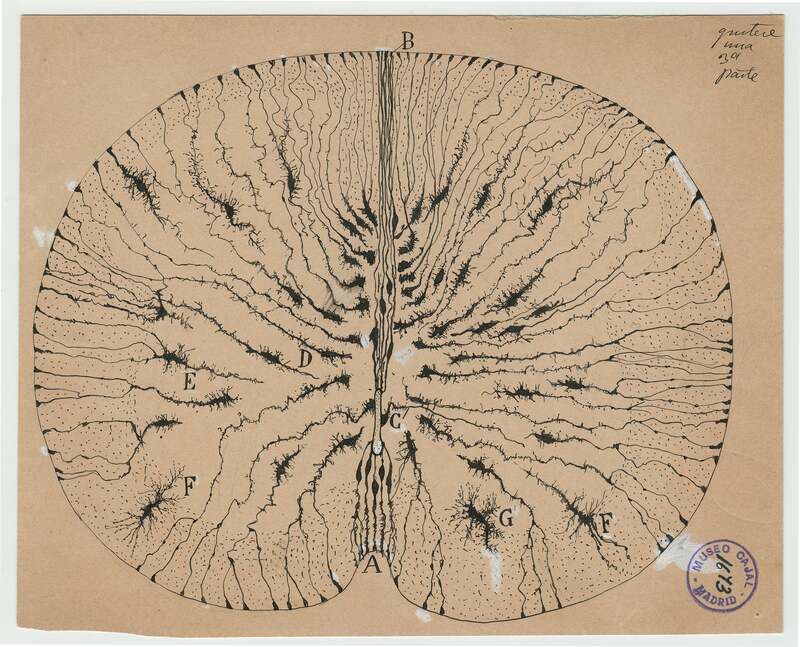 Few post-renaissance researchers have so beautifully integrated art and science as Cajal. And yet, Cajal’s pursuit of interests and activities other than research is unexceptional among elite scientists. In a paper published in 2008, Robert Root-Bernstein and his colleagues at Michigan State University set out to document the arts and crafts conducted by “scientific geniuses.” To do that, they combed through the autobiographies, biographies and obituaries of science Nobel Prize winners, US National Academy members, and Royal Society members, and compared their findings to avocation surveys of the general public and Sigma Xi members. Their findings were startling: Nobel Laureates were more likely to have arts and crafts hobbies than Royal Society and National Academy members, who were themselves more likely to have such pastimes than Sigma Xi members and the US public. Moreover, scientists and their biographers often remarked that such nonscientific activities helped or inspired the research. I had the opportunity to witness this phenomenon firsthand. My postdoctoral advisor at Harvard Medical School, the Nobel Laureate David Hubel, had many hobbies. He played the flute and the piano, and at one point taught himself Japanese for the purpose of giving an invited lecture in Japan, which greatly impressed his audience. He was also an assiduous weaver: I got a beautiful hand-made blanket as a wedding gift, and a scarf patterned with the Fibonacci series as a Christmas present. It may be that such activities make scientists’ creative juices flow. Recognizing this possibility, Root-Bernstein and his co-authors advocate that STEM training should not sacrifice instruction in the arts. And it could also mean that a creative mind cannot be contained, but will pursuit endless opportunities for stimulation, inside as well as outside the lab. The Beautiful Brain exhibit will be shown at the Grey Art Gallery until March 31, 2018, and at the MIT Museum in Cambridge, Massachusetts, from May 3 to December 31, 2018.